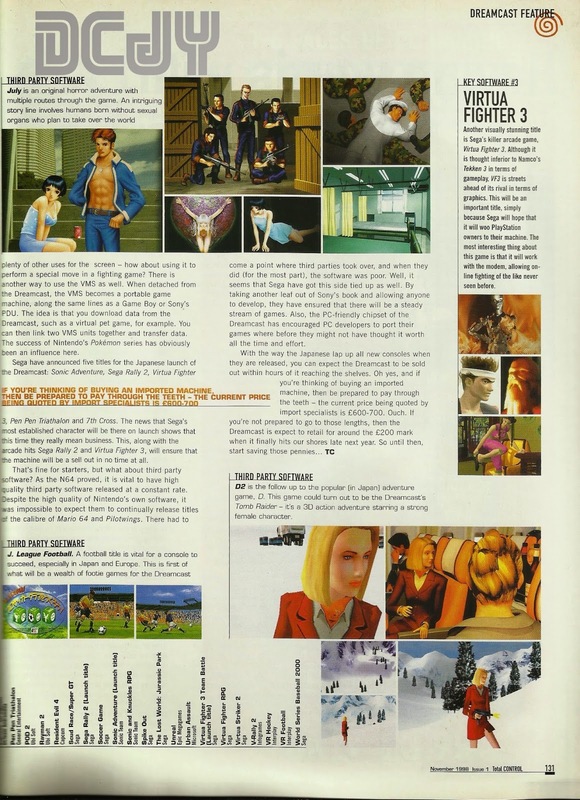 Total Control was a fairly short-lived multi-format magazine from Rapide Publishing that I was a reader of back in the late 90s. 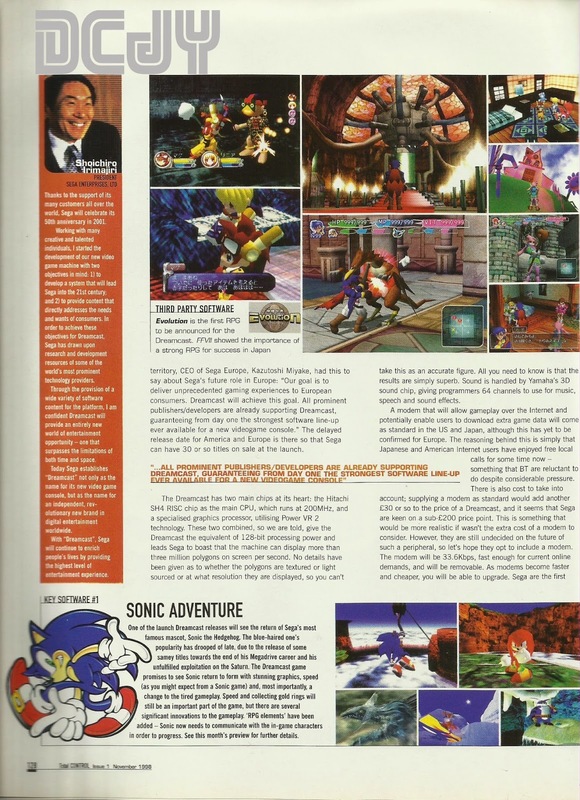 Unlike today, back then there were a whole host of multi-format mags to choose from in the newsagents and I spent a hell of a lot of money on games magazines simply because browsing the internet for news, reviews and pokes just wasn't an option. I do recall having the internet at home, but it was slow as hell, dial-up and my mum used to go mental at me and my brother if we used it without her express permission (which we never got), because any time we spent online got added to the phone bill. We actually tried to hide the modem under the couch one time so the old battle-axe wouldn't hear it dialling the number for Virgin Net...but she always heard it and came thundering down the stairs like that maid in the Tom & Jerry cartoons. Funnily enough, screaming "Thomas!" while she did so, ash cascading from the Silk Cut king size clutched between her talons. Ah...those were the days. Right click and save for larger versions you can read! You're most welcome - thanks for reading! Thanks for reading Simon. Yeah, I know what you mean - Total Control back issues are very hard to find. I wonder what the circulation figures were for that mag...must have been pretty low. 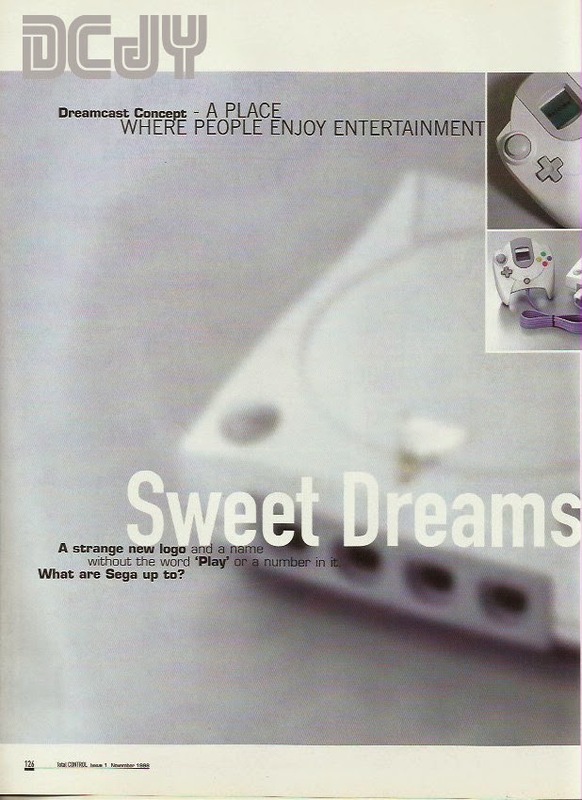 They did do some creative things with their issue covers though, like cutout windows etc. More post like these would be amazing. 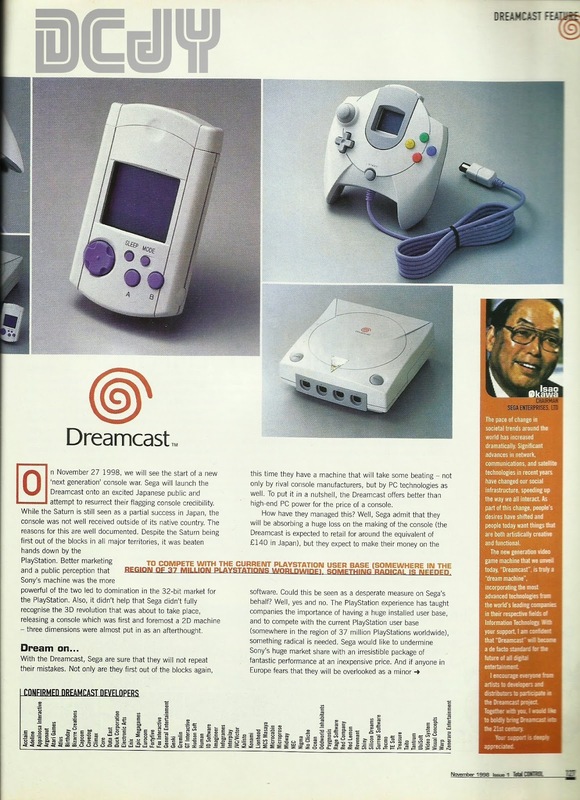 Love reading any old articles concerning dreamcast and its games. I have every issue of this great mag, I think it ran for about 8 issues and was the best game mag around ( although Arcade was decent too). I still get them out for the odd read it was so well put together. 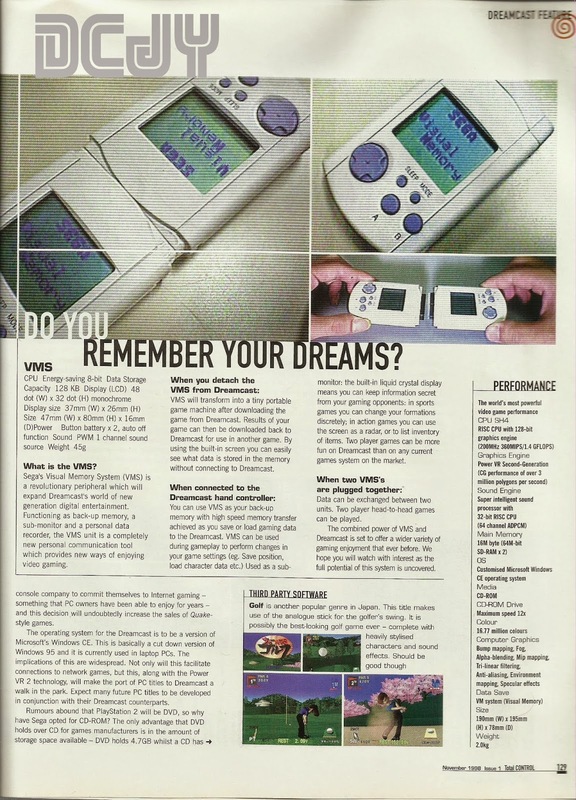 Arcade is another mag that have most issues of, it ran for about 18 months I think. Thanks Steve - I loved Arcade too. 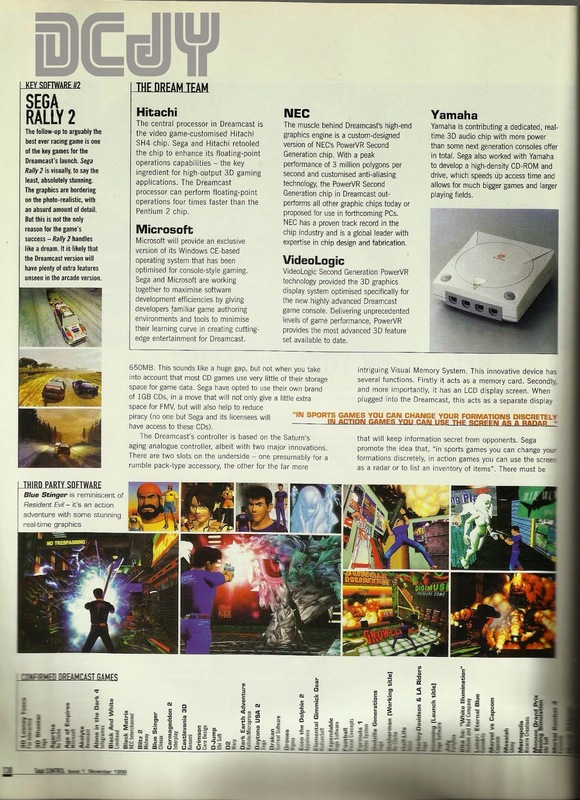 Such a shame all those mags closed down, although reading through them now makes me realise just how far games (graphics especially) have moved on.